Want to book an in home Lifestyle Newborn Photo Shoot but worried about all the prep that goes into pulling it off? 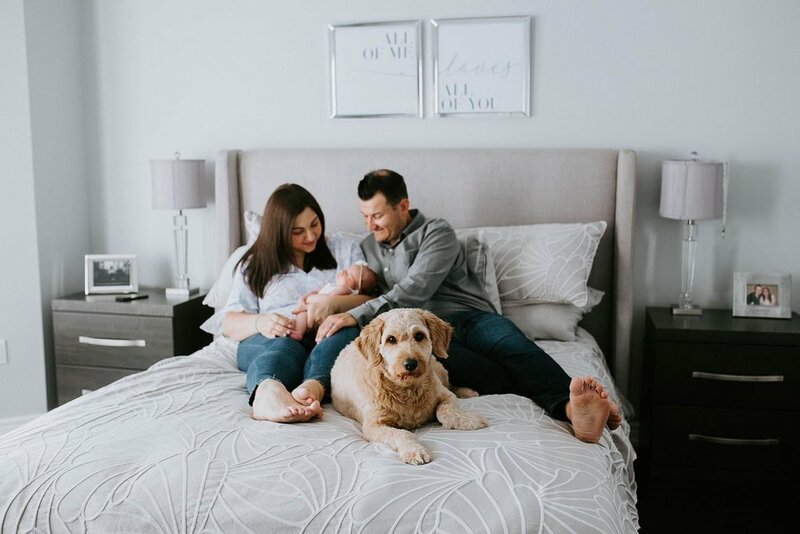 Check out my 5 tips to preparing for these sessions and help let go of any misconceptions or fears you may have about hosting your newborns photography session at home. Do you find yourself swayed more by emotion and authenticity in photos? Me too! So I wanted to give this to my families. In steps Lifestyle Newborn Photography. It does exactly that and I couldn’t be in love with it more. Come check it out! Winter baby on the way and don’t want to trek out into the Canadian snow with your new addition? Book up a Lifestyle Newborn Session with CopperRed Photography anywhere in the GTA. I come to your home! No stress, no hassle, in the safety and warmth of your home. Booking up a photo shoot in the Toronto GTA and don’t know where to go? If your dream backdrop is wild and beachy then check out this stunning maternity photography session at the spectacular Scarborough Bluffs. I guarantee it’ll be your top choice. I am most definitely a wandering photographer. I love nothing more than to adventure and explore with my couples in the city or hours and flights away. Are you looking to document your love story? Let’s get together and make it epic! Check out David and Alessandra’s photo shoot on Toronto Island! Want to capture your new baby with authenticity and with a real sense of who you are as a family unit? Then check out Lifestyle Newborn Photography! It is shot in your own home and only take around an hour, dreamy right?! Winter engagement shoots are incredible and this blog contains hard proof! Dundas Peak was the location on a snowy evening at sunset. It was truly magical. Check it out now and get engagement photography inspiration! There's a new trend in baby photography world and I am going to tell you all about how incredible it is! So grab a cuppa tea and come join me as we delve into the beautiful world of Lifestyle Newborn Photography Sessions. Want to have your family photos shot in top secret stunning locations in the Toronto GTA?! Get in touch for 2018 Spring Family sessions now! It's never too early to book up and avoid disappointment. As the colder winter weather creeps in what better way to document your new baby than with a stunning lifestyle newborn photoshoot in your own home. Avoid the travel with your new bundle as everything we need comes to you. Create beautiful, natural photos that truly capture the connections and love within your family. 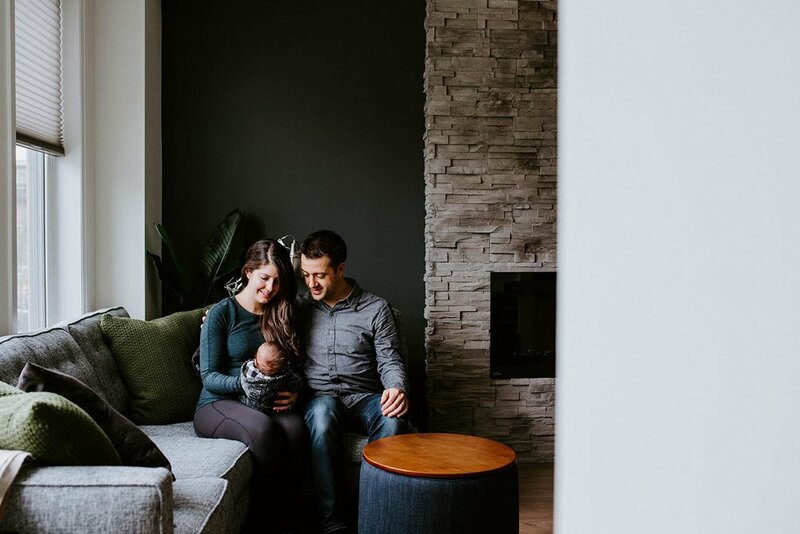 The lifestyle approach to documenting your family is organic, natural and a beautiful reflections of the relationships and connections existing between you all. Captured in your own home the imagery holds the most special moments. Check out the Cuttings introducing baby Jenson to the world.